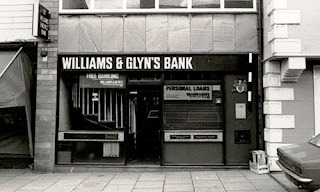 Following the bailout of the Banks in 2008, one of the conditions set by the EU was that both LloydsTSB and RBS (Royal Bank of Scotland) are required to divest part of their Retail and Corporate business, to effectively create two new challenger Banks on the High Street – each Bank having significant market share. A couple of months ago, we saw the launch of the UK’s 7th largest Bank ‘TSB’, a brand that first appeared 200 years ago. RBS has also recently announced that Corsair consortium - which is backed by Church Commissioners for England and therefore the church's pension fund - had successfully bought a stake in the Williams & Glyn Bank. The deal is significant as it will give the Church a role in high street banking, it was backed by the Church Commissioners and it is believed to be in attempt to establish an ethical dimension in the group's vision for the small business-focused Bank. Lord Davies, one of the executives has pledged to put lending to small business at its heart, give more funds to the community, cap its bonuses at 100% of annual salary [a pay policy driven by the Church] and to uphold “the highest ethical standards”. John Maltby the new CEO has been quoted as saying “Williams & Glyn’s will commit to the highest standards of banking ethics and business conduct while providing increased customer choice in the UK Banking market”. 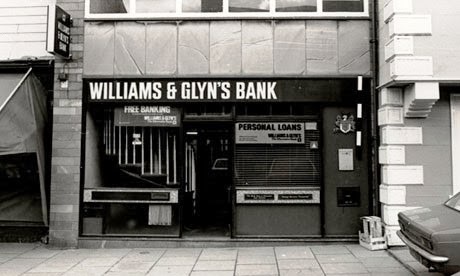 We will not see Williams and Glyn return to the high street until 2015 but it will be interesting to see what influence the Church and John Maltby have in its creation and how different it will be to the Top 5 high street Banks of today.